All guests have free access to the resort's own spa area with pool, sauna and steam room. In Schonblick Mountain Resort, is also located a gym and a ski and bicycle storage. There is also a bar / bistro right in front of the complex for a drink after a day on the slopes or a hiking day. Ski Packages: Ski and boot hire can easily be arranged locally at the ski rental, which is located within walking distance from the apartment. Ski passes can be purchased at the valley Hochalm gondola. Ski lessons can be organized also slightly at local ski schools (several languages). Practice slopes and practice areas for children are located 150m from the valley station. Modern comfortable flat. Great place to stay. We hope to come back and we are really picky! 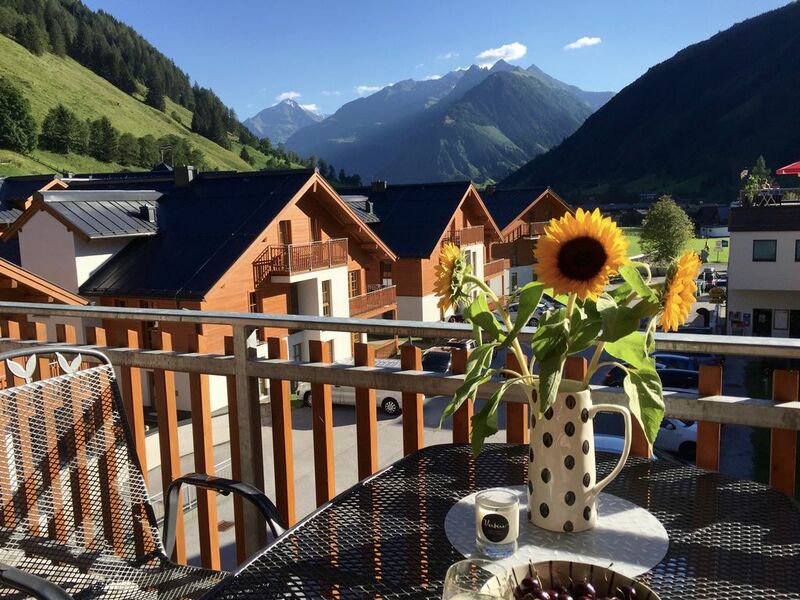 The Raurisertal in Hohe Tauern National Park offers easy access to stunning scenery and many activities, making it an ideal place for a summer and winter holidays. In winter, this is a perfect place for families, beginners and advanced. The nursery slopes and Hochalm lift which takes you to 2,200 m, are only 150 meters away. Downhill and cross country and ice climbing and sledding are also possible. Within about 30 minutes, the ski areas of Kaprun, Zell am See are located and Bad Gastein. In summer there is some way to go at 300 km of hiking trails through the ancient forests and in the mountains. You can also rent a mountain bike and explore the mountain bike trails of the Pinzgau. The National Park Centre provides every week numerous guided tours. The center is 5 minutes walking distance and offers a choice of restaurants / bars, shops and supermarkets. Other Activities: Zell am See: water skiing, sailing, golf in the summer. Ski: The gondola station is 150 meters away from the apartment. From there, the Hochalmbahn of 950 m leads to 2,200 m from the lifts and pistes, which is ideal for families, beginners and advanced. There are slopes of various lengths and levels of difficulty as well as open and forest trails. More advanced can go across the Kreuzboden area where a variety of red slopes awaits them. There are 4 mountain restaurants for your refreshment and relaxation available that offer traditional Austrian dishes at reasonable rates. For cross-country skiers, ice climbers and toboggan riders also well catered for. Rauris is an ideal location to (270 lifts / 860 km) or Salzburg to explore the vast territories Ski Amade (2300 km of slopes), including Zell am See, Bad Gastein, Hochkönig, Saalbach, Dienten & Maria Alm, within 30-40 minutes. On the Kitzsteinhorn glacier in Kaprun you can ski in all seasons. This section provides some useful contacts and information about activities in and around Rauris, for all tastes and ages. If you need more information, you can visit the Tourist Office (Tel 0043 6544 20022) Website www. Raurisertal. There are many annual traditions in Austria, which are celebrated at different times throughout the year: A weekly listing is available at the reception or the Tourist Office. - Salzburg with its castle, zoo, castle and cultural offerings. - Mini golf, walking down the street behind the church, Gaisbachstr. 20 in Rauris. - Distillery, Rauris has since 12th Century a distillery which is situated a few kilometers from the district Rauris Wörth Gasthof Kirchenwirt. During the winter months, and depending on snow conditions several operators offer sleigh rides.